We have been running a series of design studios which attempt to challenge and engage with the future of australian cities. As part of this we recently co-ran a masters design studio at Melbourne University together with the very wonderful and talented Angelica Rosas and Dominique Hes. what are the opportunities for urban intensification in terms of a sustainable future and creating more diverse, more vibrant, more resilient communities? what might be achieved by working collectively across clusters of residential land subdivision rather individual residential sites being approached in isolation? how densely could we live compared with our current urban densities? what are the issues that arise in denser urban environments and in what ways might they be overcome? 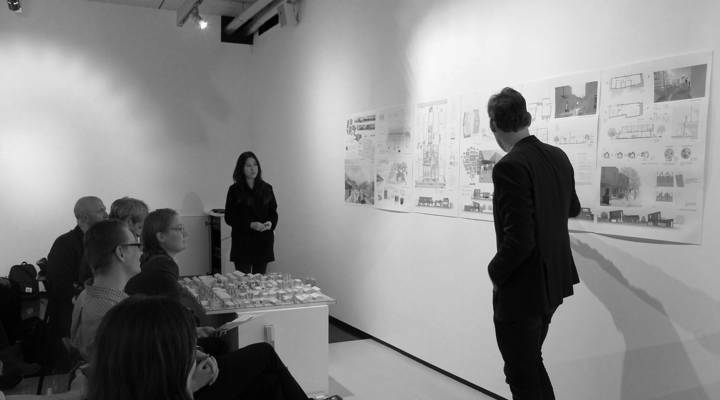 The studio was an enormous success The students produced some truly amazing work during the semester including a number of propositions which have a relevance and implications well beyond the subject site. 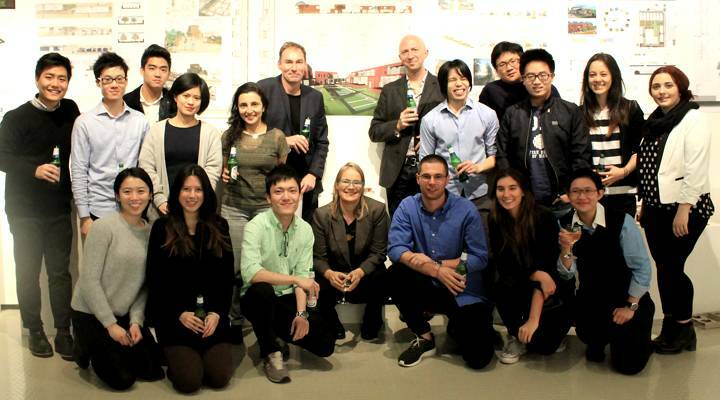 The students generally achieved a rich diversity of accomodation solutions, a tripling of density, and a range of enriching on-site outcomes including live /work units, community and education centres, cafes and urban farming.